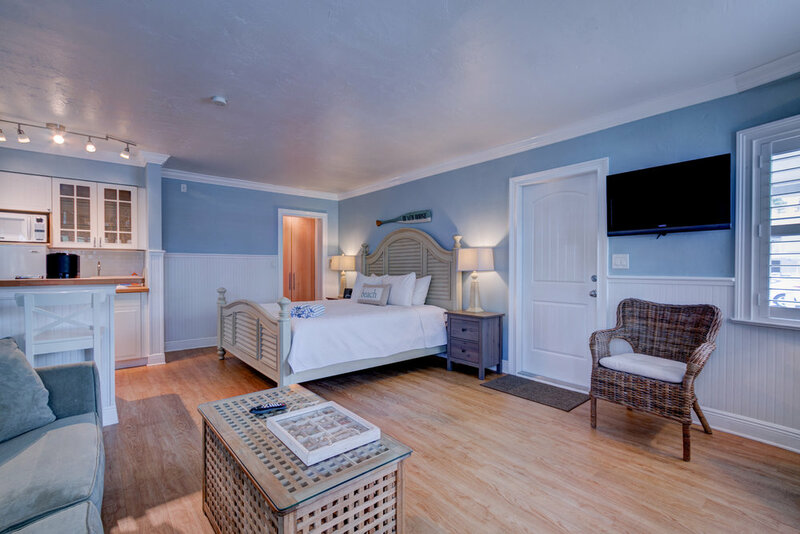 Our Beach House Studios are approximately 525 square feet. The studio is one large room with a King size bed, a sofa couch, a large bathroom, spacious dressing area, full kitchen, plus an additional conversation area for two. Enjoy the Beach House Studio’s shared patio area decorated with chairs perfect for relaxing and just a short few steps from the beach.